Your vehicle’s transmission plays a vital role in the safe and efficient operation of your car’s engine. 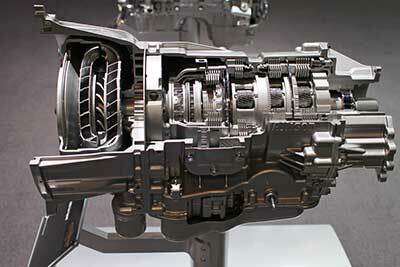 And just like all other components of your vehicle, your transmission requires some regular maintenance. Specifically, there are a few auto care tips you’ll want to follow that can help prolong the life of your car’s transmission. Transmission fluid plays a similar role as motor oil plays in your car’s engine; it keeps the moving parts of the transmission well lubricated and also prevents them from overheating. Therefore, it’s important that you check transmission fluid levels regularly and add fluid as needed. This only takes a few moments, but can make all the difference in the operation and lifespan of your car’s transmission. If you’re not sure how to check this fluid, refer to your owner’s manual or head down to Road Runner Auto Care for assistance. Often, transmission problems are caused by transmission fluid leaks that have gone unnoticed for quite some time. To identify leaks sooner rather than later, you should keep an eye on the ground underneath your vehicle for puddles and other signs of leaks. If you spot a leak, you can generally tell if it’s transmission fluid by its red or reddish-brown color. Some cars will also illuminate a dashboard warning light if fluid levels have unexpectedly dropped. Perhaps the best way to protect your car’s transmission is to have it professionally serviced at least once a year. Be sure to trust your vehicle’s transmission only to a reputable and experienced auto shop, such as Road Runner. We proudly service the Apple Valley, Victorville, and Hesperia areas for all of your auto care needs. Our experts can check for leaks, add new fluid, and change filters as needed to keep your transmission running properly for many miles to come. By following these simple steps, you’ll be well on your way to caring for your car’s transmission whether it be automatic or manual. To schedule service, contact us at Road Runner today, where we’ll be happy to assist you.